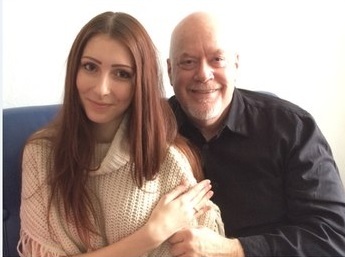 Chris came to Kiev to meet another woman, but it didnt work out between them, so on the 8th of March he wrote to me in chat and invited me to have lunch. I didnt hesitate, even though it was on International Womens Day.In fact, I think this made our meeting even more special, so now we will never forget the date when we first saw each other. I think that real meeting is more precious than millions of chats and we both fell in love with each other from the first sight. Chris had to leave in the evening, but he returned to Ukraine in a couple of weeks and proposed to me. Of course I agreed and now look at that beautiful ring on my finger! we have decided to marry on the 8th of May, on the 2 months anniversary of our relationship. I wish you all to find love here like we did!